Even though Manny Pacquiao and Amir Khan both tweeted over the weekend that they will tangle with each other April 23, it is not official. “No,” was Arum’s response, when asked if the deal is done. 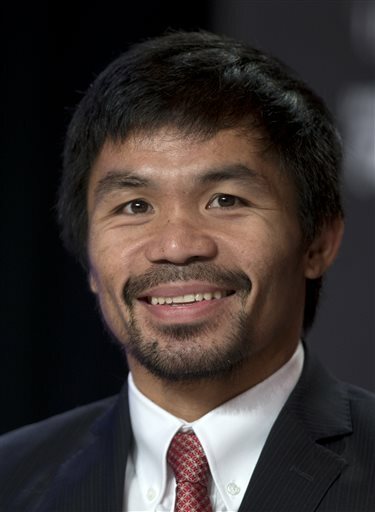 Arum said he will be meeting with Pacquiao’s adviser, Michael Koncz, on Tuesday. Keep in mind that Pacquiao had previously said he would next fight Jeff Horn of Australia. Tickets for the May 6 super middleweight fight between Canelo Alvarez of Mexico and countryman Julio Cesar Chavez Jr. at T-Mobile Arena in Las Vegas are now on sale. Prices for the Golden Boy Promotions card are $75, $125, $200, $300, $400, $600, $800, $1,000, $1,250 and $1,500. They can be purchased by calling 888-929-7849 or by going online to www.t-mobilearena.com or www.axs.com. Alvarez (48-1-1, 34 KOs) and Chavez (50-2-1, 32 KOs) will be fighting at a catch-weight of 164 1/2 pounds, 3 1/2 pounds under the super middleweight limit. The bout will be available on HBO pay-per-view. We never like to hear about a fighter having to pull out of a scheduled bout because of an injury, so it was therefore somewhat of a bummer to hear that James Kirkland had to withdraw from his scheduled Feb. 25 junior middleweight fight against Miguel Cotto in Frisco, Texas. Roc Nation announced Thursday that Kirkland had sustained a fractured nose. The news release did not say how it happened, but it doesn’t really matter. If he can’t fight, he can’t fight. That said, this probably saves HBO a bit of embarrassment. See, the longtime boxing giant had for whatever reason decided to make this a pay-per-view bout. That was just ridiculous. Cotto has not fought in nearly 15 months and is coming off a decision loss to Canelo Alvarez. 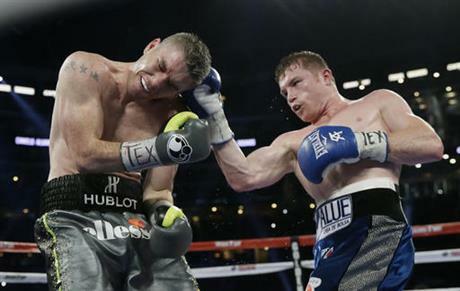 Kirkland has not fought in 21 months and is coming off a third-round knockout loss to Alvarez. Again, to think of this as a pay-per-view event was just absurd. If it is re-scheduled down the road, we’re hopeful HBO will realize that this belongs on its regular channel, not its pay-per-view arm. Even if the promoters for the respective fighters somehow forced HBO’s hand – and we don’t know that – HBO needs to be in control. It must stay away from making obvious non-pay-per-view fights into pay-per-view. No one should push this company around, after all it’s done over the decades. Heavyweight champion Anthony Joshua of England has an objective – to be the best ever. 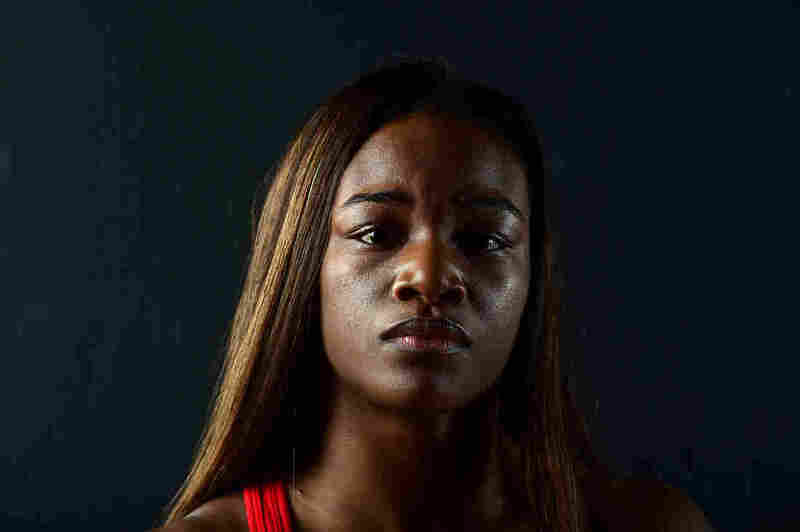 “That’s my obsession,” he said Tuesday in New York City, where he and former champion Wladimir Klitschko hosted a news conference promoting their April 29 fight at Wembley Stadium in London, where a sellout crowd of 90,000 is expected. “I’m a man who likes to perform and entertain and that’s always been there. I’ve always wanted to take on the best,” Joshua said. Since Klitschko will be 41 by the time this fight happens – his birthday is March 25 – Klitschko may not be “the best” at this point. That’s not to mention he’s coming off a loss to Tyson Fury that took place in November 2015. That’s another thing. Klitschko will have some 17 months out of the ring by fight night. “I believe this man has a lot of skills,” Klitschko said of Joshua. “Maybe yes, maybe not he will be the biggest star in boxing. I know there are plans to fight (Deontay) Wilder after me. Joshua, 27, is 18-0 with 18 knockouts. Klitschko, of Ukraine, is 64-4 with 53 knockouts.